Julian Bond is a civil rights leader who had to go to the Supreme Court to be allowed to take his seat in the Georgia House of Representatives. 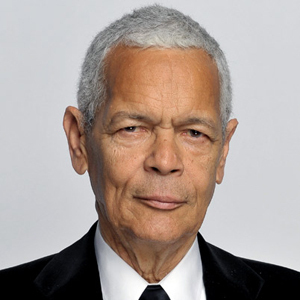 Julian Bond was born on January 14, 1940, in Nashville, Tennessee. He became a civil rights activist while in college. In 1965, he was elected to Georgia’s state legislature, but his opposition to the war in Vietnam meant that it would take a U.S. Supreme Court ruling for him to be allowed to take his seat. Bond later served as the head of the Southern Poverty Law Center and of the NAACP. Bond died on August 15, 2015 at the age of 75. Early LifeHorace Julian Bond, generally known as Julian Bond, was born in Nashville, Tennessee, on January 14, 1940. His family moved to Pennsylvania five years later, where his father served as the first African-American president of Lincoln University. In 1957, Bond enrolled at Atlanta’s Morehouse College, where he helped found The Pegasus, a literary magazine, and interned atTIME magazine. While still a student, Bond became a founding member of the Committee on Appeal for Human Rights. He led nonviolent student protests against segregation in Atlanta parks, restaurants and movie theaters. In Raleigh, North Carolina, Bond helped form the Student Nonviolent Coordinating Committee in 1960. The next year, he left Morehouse to serve as the SNCC’s communications director, a position he held for five years. He returned to Morehouse a decade later and received a degree in English. In 1965, Bond was voted into the Georgia House of Representatives. However, the state congressional body refused to swear him into his seat because he had endorsed a SNCC statement that decried the war in Vietnam. Martin Luther King Jr. organized a protest rally on Bond’s behalf. In 1966, the case went to the U.S. Supreme Court, which unanimously ruled in Bond’s favor on the basis of freedom of speech. Bond was finally able to take his seat in the Georgia House of Representatives in 1967. He served in the Georgia House until 1975, and went on to serve in the Georgia Senate from 1975 to 1986. During his tenure in the state legislature, Bond wrote over 60 bills that were ratified as law. Bond attended the 1968 Democratic National Convention in Chicago, where he was nominated as a vice-presidential candidate. He was the first African American to receive the honor, but withdrew his name because he was not old enough to hold the office according to constitutional guidelines. In 1986, Bond entered a Democratic primary to run for the U.S. House of Representatives in Georgia. He lost the heavily contested race to John Lewis, another civil rights leader and former SNCC member. From 1971 to 1979, Bond served as president of the Southern Poverty Law Center, an organization he also co-founded. He was president of Atlanta’s chapter of the National Association for the Advancement of Colored People before becoming the chairman of the national NAACP, a position he held from 1998 until 2010. He is now chairman emeritus of the NAACP and president emeritus of the Southern Poverty Law Center. Bond continued to be a prominent voice in the media. He was a commentator for NBC’s Today show, wrote a national newspaper column and produced poems that have appeared publications such as the Nationand the New York Times. He was also a professor of history at the University of Virginia and an adjunct professor at American University.